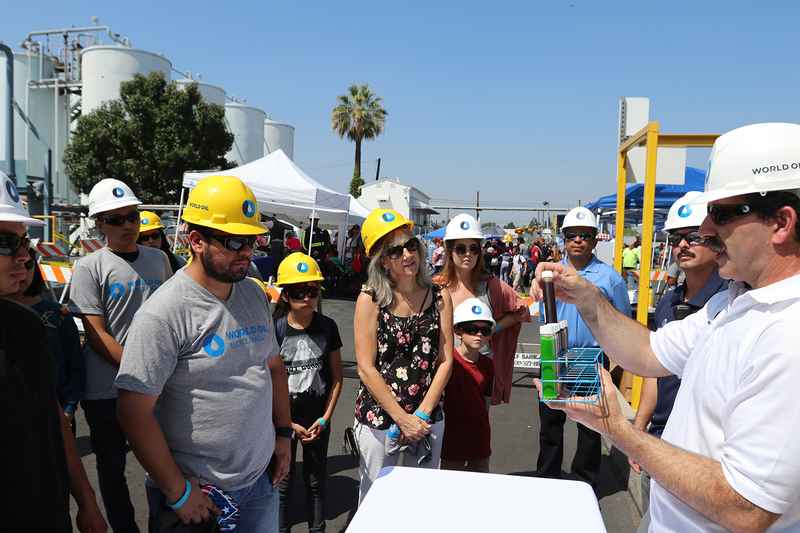 World Oil Recycling Open House 2017 - World Oil Corp.
World Oil Recycling held its annual open house on August 12th. This is our opportunity to invite the community in to see how we turn used oil and antifreeze into new products. We had over 700 members from the local community, as well as city and state representatives who came to share in the fun. 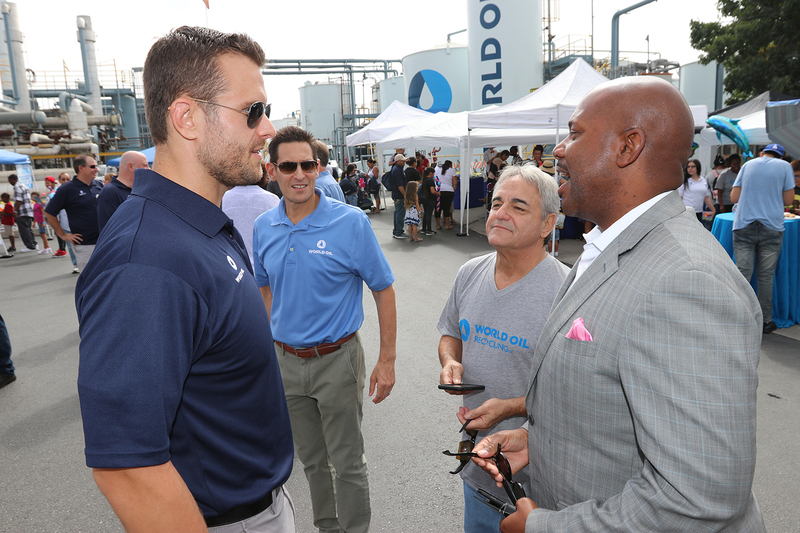 The Recycling team took this opportunity to meet with members of the community. 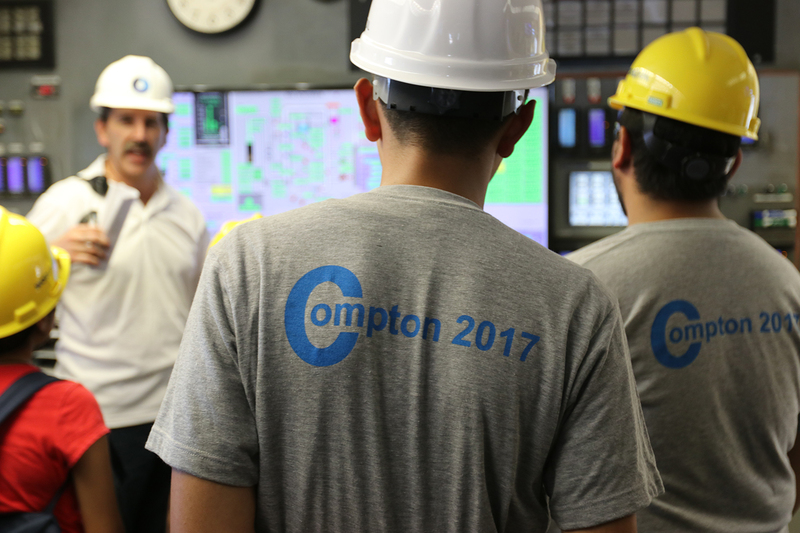 We are the largest oil re-refiner in the western United States and visitors started out the tour of the facility with a demonstration of the types of used petroleum products that are processed here. Jim Thivierge is leading the discussion. 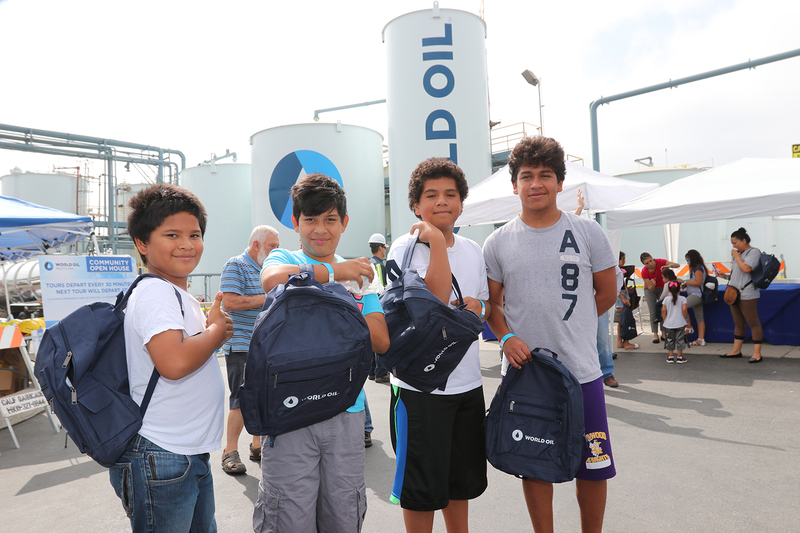 Students could be seen sporting new World Oil backpacks. 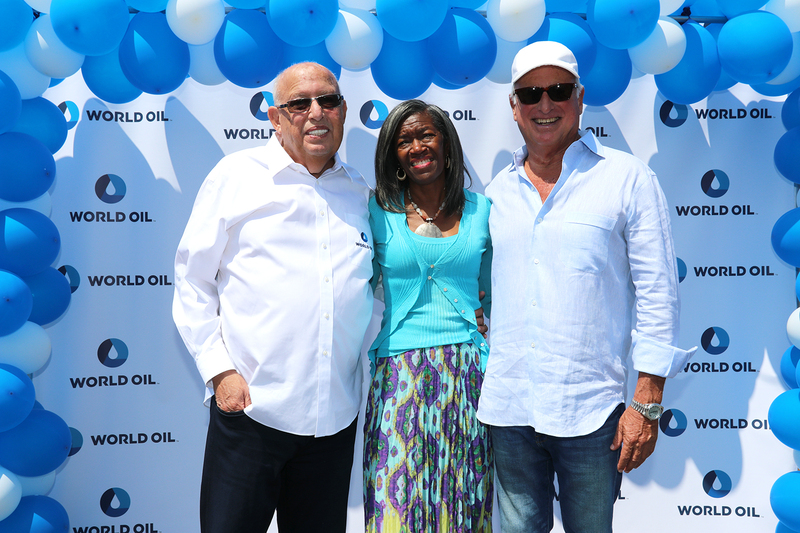 World Oil Co-CEO’s Robert Roth (on the left) and Steve Roth (on the right) are pictured here with Emma Sharif (center), Compton City Councilwoman for District 4. Guests are given special access to the facility during the tour. Here they are asking questions of our guide, who is explaining what happens in the control room. Stops on the tour include the lab, control room, antifreeze recycling and used oil recycling. 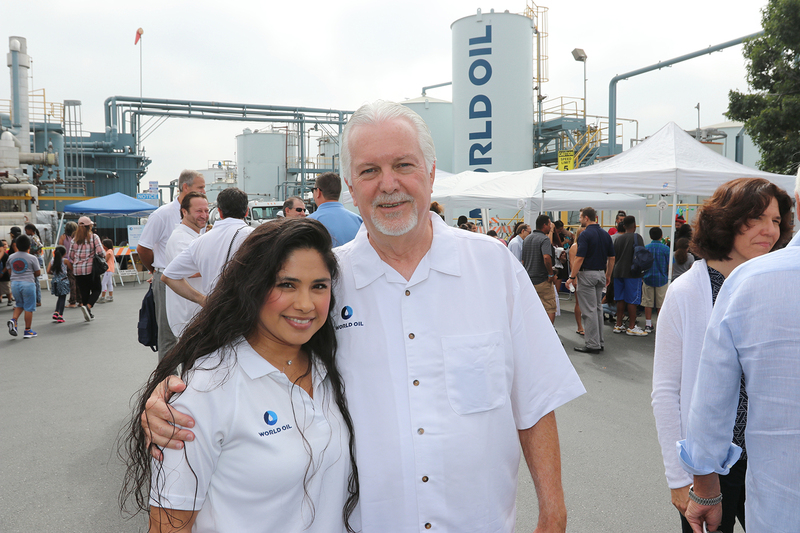 Jim Ennis, World Oil Recycling & Environmental Services COO is seen here with Nerehida Fernandez as they get ready to great the public. Food trucks came in to serve the event and the kids had a chance to pick up an ballon animal and try some face paint.